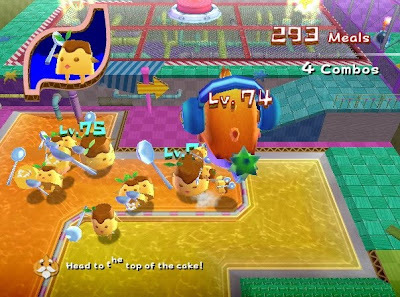 I like the Super Monkey Ball series, but I didn't particularly find a lot to love with Banana Blitz besides the awesome visuals and soundtrack. That said, I'm hoping Step and Roll is a better game, and this trailer has me assured that it possibly could be. Here's the launch trailer for the game which comes out February 9th. I really like both God of War games. 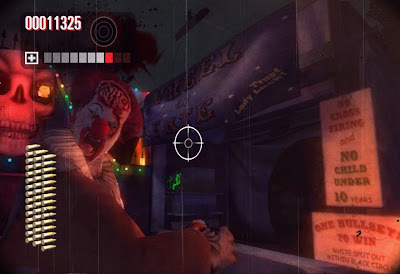 They're disturbingly violent, sure, but they're well-designed, expertly-crafted games. I recently was able to play through the majority of both games, so here's my verdict on God of War Collection. By the Gods, These Games Are Great. 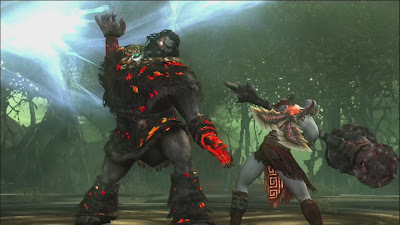 In 2005, God of War burst onto the scene, and it remains one of my favorite PlayStation 2 games much more one of my favorite games from last generation. With God of War 3 just around the corner, releasing next month, Sony has come out with a compendium of God of War lore, both God of War games, and a bunch of cool extras. For people who have played both games before, is it worth another dip? 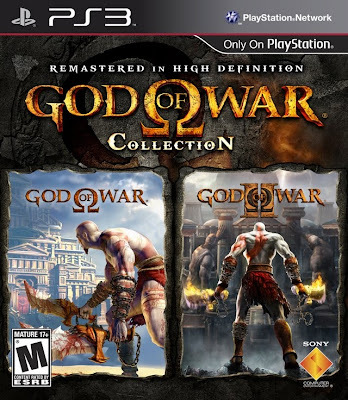 God of War Collection features both the original God of War and the sequel God of War II upscaled into HD glory, and all on one Bluray disc. games. Let's not forget PSN trophy support for both games and a collection of extras from interviews with the staff to new costumes for Kratos to sport. The games look particularly good in the HD resolution with impressive visuals and effects, and they look like haven't aged a day despite being out for six or so years. Throw in 720p support for you tech geeks out there, and this collection definitely compares well to other games on the system. The same can't be said for the cut-scenes which have remained in SD and like their PS2 brethren. There's a stark contrast between what you get during normal gameplay and what you get during cur-scenes. Overall though, this is but a minor gripe, one of many I have with this collection. God of War wastes no time getting you into the action. The tale of God of War stars Kratos and runs the gamut of who's-who in Greek mythology. Kratos is a servant to the Gods, a former Spartan warrior, and a former father and husband. He lost it all on one faithful battle dedicating his life to Ares, the God of War, in exchange for his survival that day. 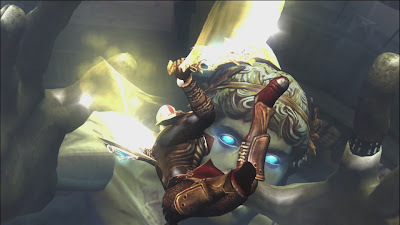 Tricked into murdering his wife and child, Kratos, a mere mortal, decides then and there to go against Ares, a god, and take him down for good. It's a tale of betrayal and revenge, and it's told through intriguing narrative and gripping cut-scenes. Kratos is slowly losing his humanity, and it shows throughout the first two God of War games. Meanwhile, God of War II delves into Kratos' time as God of War. Having defeated Ares and received the title of God of War, his memories and past still haunt him. In order to alleviate these nightmares, Kratos must try to change something that no mere man or god has ever been able to change-- fate. The God of War franchise is known for its visceral and oftentimes gruesome action. You'll constantly be put into battle against enemies that Kratos can tear apart, limb from limb, leaving a bloody trail of destruction where ever he roams. There's three parts to God of War: platforming, puzzling, and fighting. The game's designed so you're always cycling between these three things so the player is always on their toes. The levels you weave in and out of can take your breath of away with their intense sense of scale, especially in God of War II. While the levels are large and expansive, they're not all that linear. There's constantly chests hidden in and out of sight containing health, magic, health and magic boosting items, and blood, the currency of the God of War series, gained from chests and by defeating enemies. You use blood to power up your weapons and spells, making them all the more powerful to defeat frenzied foes. Speaking of foes, none are bigger and better than the boss battles. These foes are simply enormous. Even after playing through them multiple times, they're still breath-taking and enjoyable to play. They all have their attacks that need to be dodged or blocked much like the smaller enemies the games unleash onto Kratos. When weakened, it's quick-time event time. 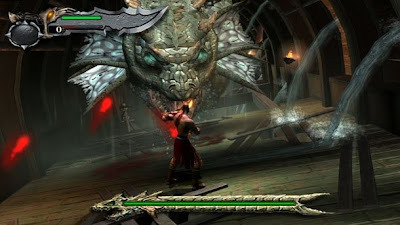 You press or mash the button shown on the screen in fast enough fashion to have Kratos attack and kill the beast in a usually gratuitously violent matter, ripping eyes from cyclopses, snapping the neck of a Medusa, y'know playing nice. This can be a problem though for some people such as myself who view button mashing to the equivalent of Wii remote waggling. It's unintuitive, and it just gets tedious doing the same mashing over and over again. You mash to kill enemies, to parry attacks, to open doors (which is an effort in frustration all to itself via the Dual Shock 3's wimpy R2 button), and to pull switches. Taking down Colossus could be a colossal problem. In God of War and God of War II, combat can be as simple or as complex as the difficulty you set the game on. Easy mode allows for straight-up button mashing with little or no finesse needed. 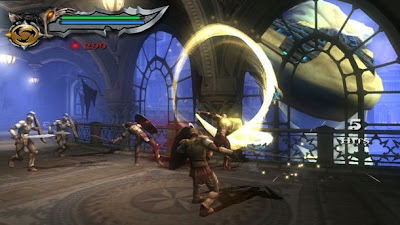 The later difficulties require Kratos to block and be conservative in his attacking. You can roll out of danger with the right analog stick, block with the L1 button, and utilize heavy and weak attacks with the X and square buttons. When an enemy is dazed or if he's facing a small enemy, Kratos can grab them, enter a QTE or just rip them apart with ease. The God of War games are huge cinematic blockbusters that have definitely stood the test of time. That said, the game's fixed camera angles can be a serious headache, especially when doing delicate platforming or trying to see what you're attacking. Add in some overly frustrating sections of the game, and you have some problems. Regardless, death usually means starting over from the same room, and there's plenty of save points scattered around the game's levels to keep things fair and never rage-quitting bad. Combat is fast and frenzied in God of War. All-in-all, God of War Collection is a worthwhile purchase especially for newcomers to the franchise. There's never been a better opportunity to hop aboard the God of War train. The upgraded-to-HD visuals and extra content make this a great game to pick up even if you've played the original God of War and God of War II ad infinitum. Throw in the E3 demo of God of War III, and you have one deal that's difficult to resist. For a terrific way of hyping yourself up for God of War III and a game with tons of replayability, there's no title better than God of War Collection. I know how it is. The economy hasn't been kind, money's tight, and you're looking for cheap games for maximum fun. That's exactly what this top ten is all about this week. Why not go after the most purchased console worldwide to start things off? That's what I asked myself, and I agreed that the answer was "sure, why not?" These are my favorite Wii games that you can purchase for under thirty bucks. Thanks to Squidoo for the inspiration. This is a hard one to recommend, but since you can find it so cheap nowadays I'll do so anyway. If you're a lover of brain puzzles especially ones that are terribly unforgiving, check out Zack & Wiki from Capcom. 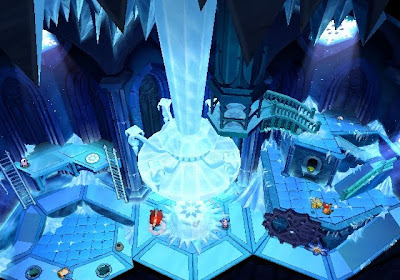 The game oozes with style and features some devilish and devious puzzles. Being so cheap now I can ignore the motion controls that don't always work especially in later stages, the annoying "Zaku" cry from Wiki, and the hour-long puzzles where one mistake has you starting from the beginning of the level. If you can deal with those beefs and have twenty dollars or less to burn, then Zack & Wiki just might be the game for you. At ease, soldier! Battalion Wars II may be war, and war may be Hell, but it's a whole heck of a lot of fun! 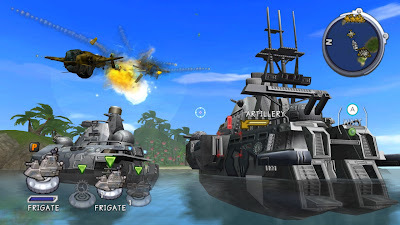 Take on colorful tanks, infantry, anti-air guns, planes, and boats as you command your army one soldier at a time. You can even hop online and play with a friend... though Wii Speak would have been a great invention at the time... If the fast RTS-esque gameplay doesn't satisfying you, then may I suggest enlisting in a different army next time? You can now find Battalion Wars II for around thirty bucks depending on where you go. Dismissed, maggot! LittleBigPlanet paved the way for creation in the platforming genre, but Blast Works beat that game by a year or so in the shmup genre. 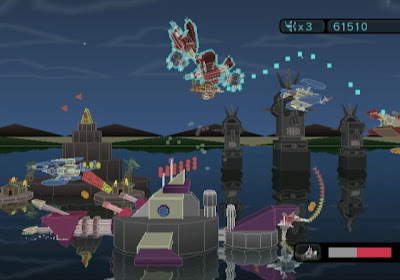 The game included with Blast Works isn't much to write home about, but the real gem in this game is the ability to create your own ships, enemies, levels, and backgrounds using the creator inside the game. You can then upload your creations online and share them with thousands of players around the world. The game released for twenty dollars, so you can bet you can find this game even cheaper now. If you're any kind of fan of shmups, you owe it to yourself to pick this game up and start creating! This colorful platformer is all about painting the town red... and blue... and yellow... and you get the idea. As the titular character, Chroma City is in need of sprucing up, and by rolling around in paint you can do that. 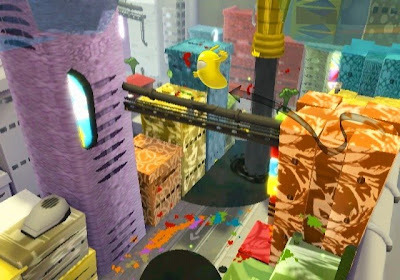 Challenges abound in the game's many levels asking you to paint a block one color, reach a goal within a time limit, and rescue the inhabitants of the city to name a few. Some folks had a problem with the save system which makes players play for at least a half hour before being able to save. 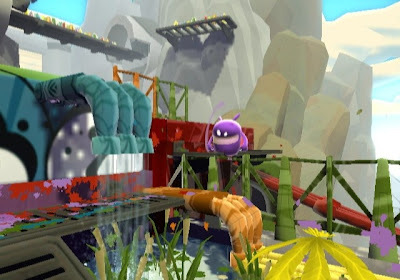 Other than that issue, de Blob is a worthwhile platformer that you can get for less than twenty dollars and play in anticipation for de Blob 2 that was just recently announced. 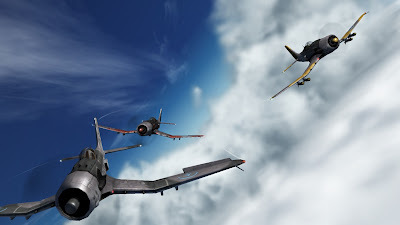 Fly to the skies above with The Sky Crawlers: Innocent Aces, my surprise love of the year (apart from Tatsunoko VS. Capcom). This game has you assigned to eighteen missions of increasingly harder challenges. One you'll be fending off comrade attackers while another you'll just be tasked with taking out every enemy target in sight. 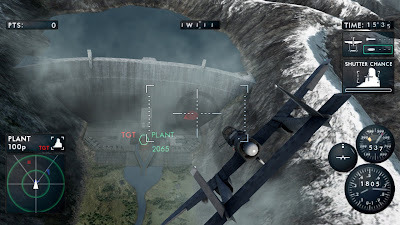 The sense of flight could come only from the elite team at Project Aces, who worked on the Ace Combat series. If you can deal with the annoying characters, confusing story, and the occasional tough-as-nails mission, you'll fly right by being beside this ace. Sky Crawlers can be snagged for just about thirty dollars. 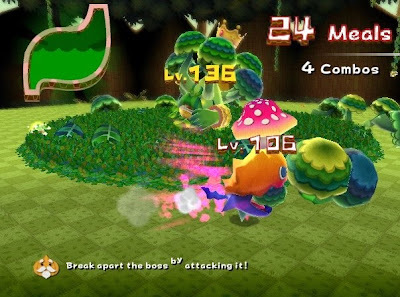 Part Katamari, part Pac-man, The Munchables was and is a severely overlooked title in the Wii's library. It originally launched at a budget price of thirty dollars, so you can probably find it even cheaper now. 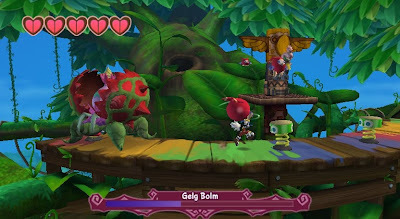 The gameplay is all about gobbling up monsters that are smaller or at the same size level your Munchable is at. 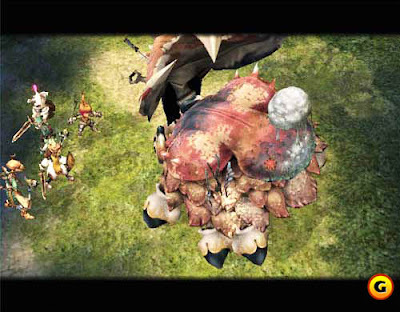 As you munch and crunch monsters, you grow in size, allowing you access to other portions of the level. It's a charming game with lush and vibrant visuals, infectious music, a hilarious story, and crazy gameplay. Chow down and eat up with the Munchables on a Nintendo Wii system near you. 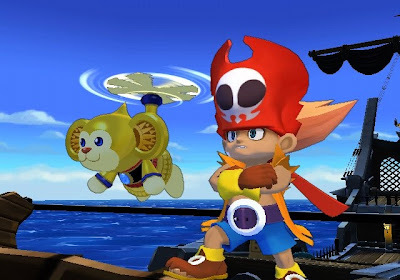 The floppy-eared hero is back in this remake of the original Klonoa, Door to Phantomile. It may be only three or so hours long, but this is the type of game you'll be wanting to come back for more and more. Klonoa grabs enemies and can use them for leverage to reach higher platforms or to toss at other baddies. The visuals have received a significant overall, and the entire package is just presented wonderfully from the cut-scenes to the soundtrack. For anyone who loves platformers, you can easily pick Klonoa up at a retailer near you for under thirty dollars! You'll thank me for sure. 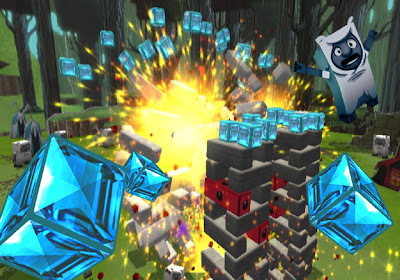 Put some boom into your day with Boom Blox. This game is all about block puzzles. Some have you delicately pulling blocks from a wavering tower Jenga-style while others have you trying to tip over towers in as few throws as possible. If that's not enough, you can always create your own levels with the easy-to-use in-game tool. This is a terrific single-player game, but where it shines is the local multi-player. 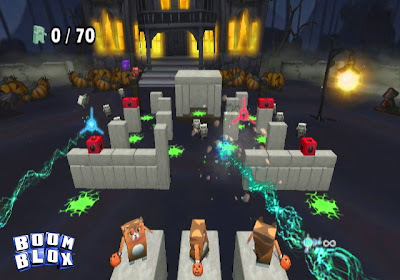 You can pick up the original Boom Blox, my preferred version of the game, for around $29.99 at most retailers. I'm cheating since I'm not including tax, so bear with me on this one! It's not just good. It's mother$%#$ing good. Or at least that's what the people behind the game would say verbatim. 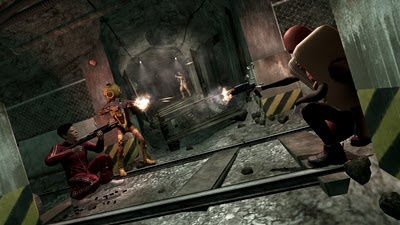 The House of the Dead: Overkill is without a doubt my favorite rail-shooter on Wii. It's got plenty of secrets and weapons to unlock, six levels of zombie-blasting action (it's all the rage, you know), and enough profanity to make Joan Rivers blush. The game was once fifty dollars and well worth the asking price, but now you can snag yourself a copy for less than twenty dollars. Is that crazy or is that crazy? Now you, too, can blast away the zombie menace in style. 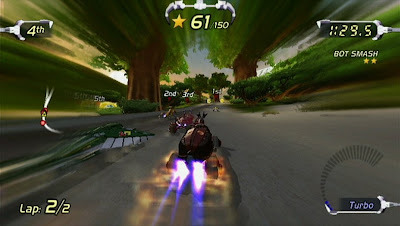 Chosen by me as the best racer of 2009, Excitebots: Trick Racing isn't your typical racer. Sure, you can cross the finish line in first, but it won't matter if you didn't do it with some style. Earning enough stars separates first from worst in this adrenaline-charged racer. If the solo action isn't fulfilling your need for competition (and why wouldn't it? ), you can hop online and challenge opponents worldwide to compete for stars. These stars can be used to purchase new bots and paint jobs. Tanking at retail, it's no wonder stores like Best Buy are currently offering $15 for this excellent racer. Grab it while you still can as it's now out of print! You're welcome. Did I leave out a game that you really love that's under thirty dollars? Let everyone on SPC know by posting in our comments section. This news may be old to most of you internet-savvy folks, but I just woke up to it! The biggest surprise for me was seeing that it was on Wiiware, too. That's great for you Wii-only owners out there and all fans of Sonic the Hedgehog. Other news is that the game will be episodic. What follows is yet another teaser trailer and the first screenshot of the game! Ivy the Kiwi is the newest mascot from the mind of Yuji Naka, creator of such iconic mascots as Sonic the Hedgehog and Billy Hatcher. Ivy the Kiwi plays almost like Kirby Canvas Curse where you draw lines to interact with the titular character, slingshotting the hero through weakened blocks, using lines as defense against hazards, and more. Here's the DS trailer of the game. A month or two ago we took a first look at last generation's overlooked and underappreciated games starting with the Nintendo Gamecube, a glazed over console all to itself. Well, I'm back with five more games that I find that are worth checking out whether they were underrated, unappreciated, or not purchased by the majority of the gaming world. Let's kick things off right, shall we? The first of what has become a long-running Nintendo-exclusive series, Final Fantasy Crystal Chronicles wasn't your standard dungeon crawler. One annoying part was having to carry a chalice around that would protect you from the poisonous miasma smoke that covered the land. With four Game Boy Advances, four link cables, and four friends you could play the game together, battling familiar Final Fantasy monsters and picking up rare treasure. 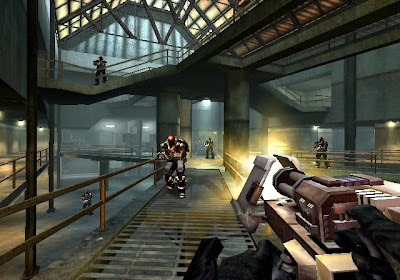 Even alone the game was fun for fans of action-RPG gameplay and hack-and-slash excitement. 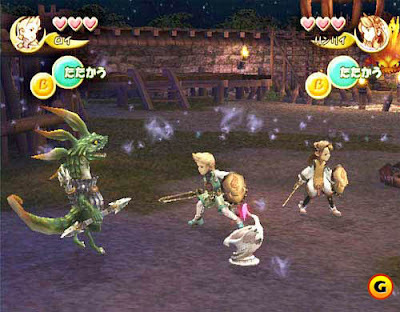 Here's hoping a future Final Fantasy Crystal Chronicles game offers up a similar experience online. 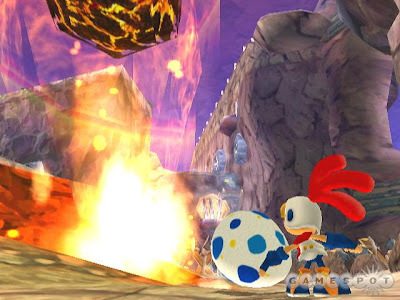 An above-average title to me, Billy Hatcher and the Giant Egg isn't without its frustrations. Though those who persevere will find a fantastic platforming adventure awaiting them. 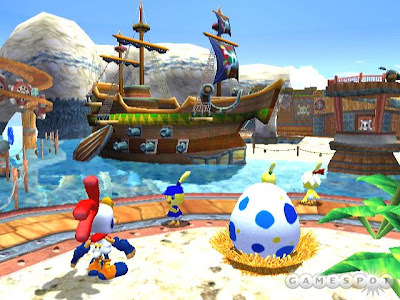 Players control Billy Hatcher who uses an egg to attack enemies, transport through colored rings, and tackle fierce trials and tribulations in his quest to save Morning Island from the evil Bossy Crow gang. Add in some colorful and vibrant visuals, several themed worlds, interesting boss battles, and a Super Mario Galaxy-like game progression, and you have a platformer that while often aggravating is charming enough to complete. Play as a spectral operative as you search for your missing physical body inside a strange military facility. As a specter or ghost, you have the ability to possess a host of interesting objects and human beings. Human beings can only be possessed when they're frightened, so it's in your best interest to possess objects nearby them to spook them into becoming vessels for your bidding. 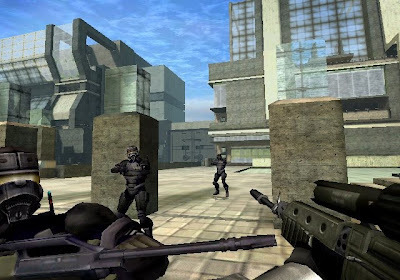 Part adventure game, part first-person shooter, Geist was a very intriguing game from Nintendo Software and Technology. 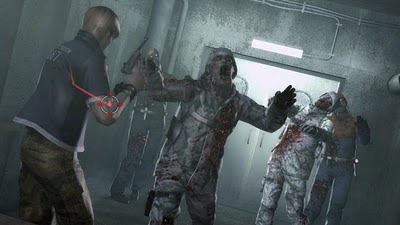 The multi-player was a blast to play either alone or with bots adding to the longevity of this ghoulish game. The Sandersons are in possession of a brand-new miniature housekeeper in the guise of the mechanical Chibi-Robo. As Chibi-Robo, you guide him around the house as he takes on odd-jobs and chores around the house, battle enemies, powers his battery charger to stay alive, and makes his way to become the best Chibi-Robo bot on the block. Like a chapter out of Toy Story, Chibi-Robo will need to partner up and coexist with the toys that live in the Sanderson household to reach new places inside the house. 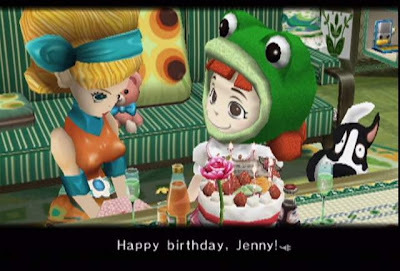 Perhaps the release of this game so late in the Gamecube's life cycle sealed the deal on the fate of this lovable and small robotic household hero. Ground pound or power bomb anything and everything that gets in Wario's way! 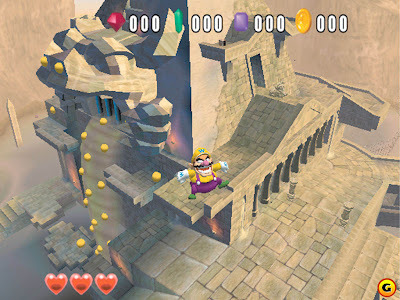 Wario World is a 3-D action-platformer with lots of fun and frantic fighting. Each world is two levels long each with a mid-boss and final boss that will take all of Wario's cunning to defeat. When a black jewel takes over Wario's castle, it's up to Wario to get the job done and get it back! He has a wide assortment of moves to do this from grabs, spinning throws, punches, kicks, and the occasional power bomb, of course! Each level has a multitude of hidden treasures to uncover and discover offering loads of longevity to this otherwise short game. Did I leave any of your Gamecube favorites out? Let me and everyone else know in the comments section. 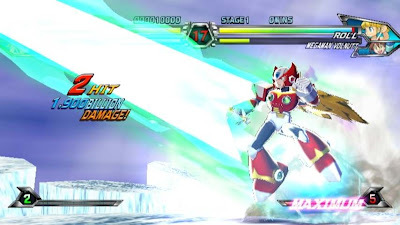 Tatsunoko VS. Capcom: Ultimate All-Stars is the newest game under the VS. Capcom moniker. Western gamers didn't think they'd be getting this title localized, but it has been. So how is it? Let's find out with this brand-new review right here on SuperPhillip Central. But it apparently can be done-- all licensing issues and hold-ups be damned! 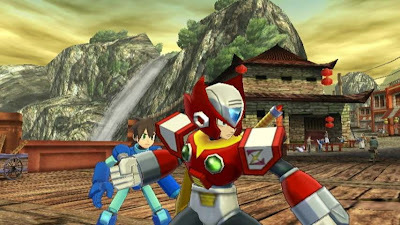 Many were stating, even Capcom themselves, that Tatsunoko VS. Capcom: Cross Generation Heroes (the Japanese title of the game) would stay exclusive to the land of the rising sun. Each character in the West belonged to a different studio, so it was all but an impossibility. 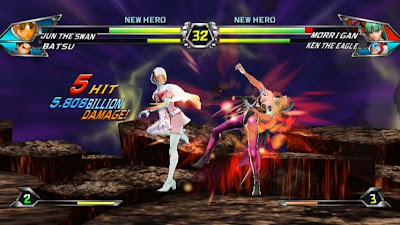 Somehow, someway, Tatsunoko VS. Capcom has reached North American shores as Tatsunoko VS. Capcom: Ultimate All-Stars. With so many memorable Capcom characters and the Tatsunoko line of impressive heroes, it is an honor and a privilege to be able to check this game out now that it has migrated to the West. Tatsunoko VS. Capcom: Ultimate All-Stars features a myriad of modes and challenges for players to sink their competitive teeth into. 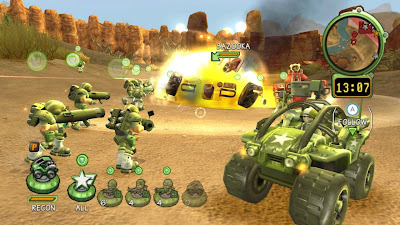 The main single-player mode is Arcade where players take a team of two (or if they select one of the two giant characters, an army of one) through eight progressively more difficult battles. The fourth battle is always against one of the game's two gigantic opponents while the last fight is a three-stage battle against the boss character of Tatsunoko VS. Capcom. To round out the single-player component, there's time attack and survival modes. The first has you taking on foes with the goal to take them out as fast as possible whereas the latter has you trying to survive round after round of combatants. If that's not enough, there is an unlockable mini-game that can be played which delves more into the genre of the shoot-em-up than the fighter. It's some tag team action with Megaman Volnutt. You can alter nearly everything to do with battle in Tatsunoko VS. Capcom. You can set the difficulty of opponents, how much health each side has, if you and your opponent both start out with maximum power bars or not, and the time limit of a said round. The customization options are incredible, and that means you can play the game your way whether you are just beginning to enter the world of fighters or are a ten year vet of the genre. 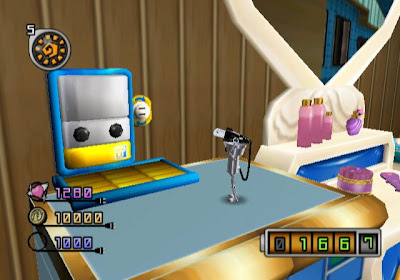 As you play through the single-player component of the game, you earn zenny, the currency of most of Capcom's games, which can be used to purchased a wide assortment of items in the shop. There's character portraits and models, new costume colors, arena diagrams, and special movies. Sure, it's all fluff, but it keep players coming back for more if the fun, addicting combat and gameplay of Tatsunoko VS. Capcom doesn't do it first. Roll brushes up on her fighting skills. Speaking of the gameplay, Tatsunoko VS. Capcom may just be the best of the Versus series bunch. 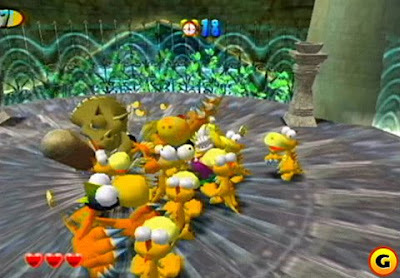 There are twenty-six playable characters in all with thirteen all-stars representing each side. You have old standbys like Ryu from Street Fighter, Chun-Li from Street Fighter II, Roll from Mega Man, and Viewtiful Joe from his eponymous series. You also have the other half of characters most players might not be familiar with-- the Tatsunoko side of the equation. That notwithstanding, these fighters bring enough of their own unique fighting styles, personalities, and awesome character designs to the table for any fighting fan to fervor over. By completing the Arcade mode a set number of times, you can unlock five new characters exclusive to the Western version of the game: Zero from Mega Man X, Frank West from Dead Rising, Joe the Condor, Tekkaman Blade, and Yatterman-2. 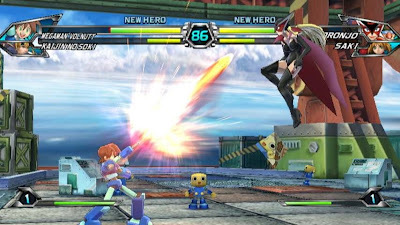 The characters are varied enough, and no two fighters feel the same which is important for a game of this caliber and not Super Smash Bros.
Tatsunoko VS. Capcom uses a two-on-two battle feature. At any time during battle, you can substitute your current character for the person sitting in standby. In standby, that fighter's health will slowly regenerate a set amount. You can call your partner in to attack for a brief moment to help chain combos or throw in some extra damage. Tatsunoko VS. Capcom is very newbie-friendly. Combos are easy to pull off, but the more technical attacks take practice to master such as aerial combos, hyper combo breaks, and baroque attacks. It's like any good, worthwhile fighting game should be. 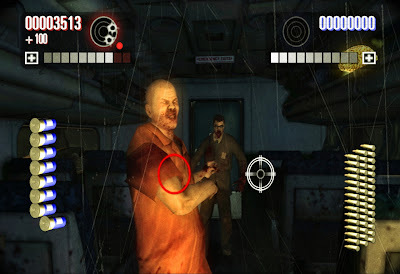 The game's power super moves known as hyper attacks are activated by rolling the d-pad or analog stick around while pressing down two attack buttons. 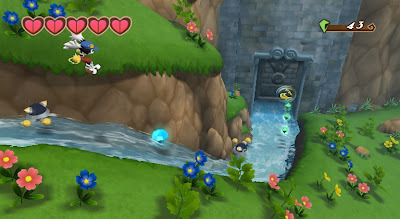 These attacks use up the bars on the bottom left or right side of the screen with a fighter's master hyper needing three full bars of power to use. You can use any control type you can think of from the Wii remote by itself to the Gamecube or Classic Controller to a fight stick. The Wii remote and nunchuk control types make the experience a bit more dumbed down than the other options which may put off some more advanced players. As the game's newbie-friendly, don't be surprised to see massive numbers of shoryuken-spamming Ryus online that want to do battle with you. ...And he isn't shy about using a hyper attack! Yes, you heard right. There is an online component aside from local multi-player that allows two players from across the continent or across the entire world to battle it out against one another. Depending on your connection and how far away your opponent is determines the latency of the battle. It seems one out of ten battles is laggy showcasing input lag among other nasty treats. It's not a common occurence, so most battles should so off without problem. If a player has a habit of disconnecting mid-match, his or her profile will search for other players who disconnect during the heat of battle. Teach you to disconnect on me, Rupaul17! In addition to ranked and random battles where you earn points to allow you to face stronger opponents, there's friend battles. You just need to exchanged those dastardly friend codes in exchange for the time of a fighting fan's life. Jun the Swan knows how to get it done. Tatsunoko VS. Capcom sports what Capcom is calling a "2.5-D" look. 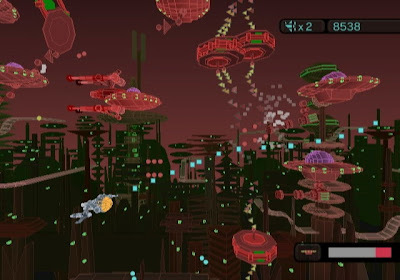 Both the characters and backgrounds are beautifully-rendered with lots of eye candy going on in each of the game's fifteen unique stages and character-specific attacks. The character models are especially impressive, and they look absolutely marvelous. On the audio side of things, Capcom opted to keep the Japanese voices solely without deciding to dub them into English. The Japanese voices are fine (save for Frank West who purely speaks English), but I would have preferred the ability to have a choice in the matter. Due to licensing issues (and boy, were there a lot of them), the character specific themes of the Japanese original have been replaced with more generic-- yet memorable all the same-- tunes. 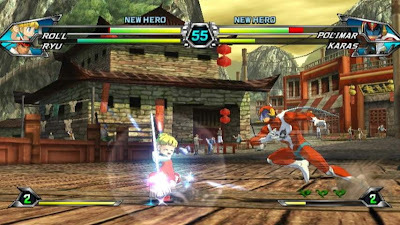 As a tyro to most fighting games, Tatsunoko VS. Capcom: Ultimate All-Stars is a fantastic fighting fan package. It has twenty-six characters to learn and master, dozens of team combinations, a sleek and pleasing graphical style, and plenty of goodies to unlock and enjoy. There is enough here for both beginners and masters of the genre to love without isolating either camp. Did I mention the virtually seamless online play again? Yeah, that's there, too. 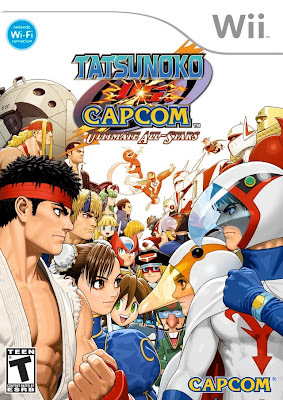 For those looking for the best of the Versus series even without knowing what a Tatsunoko is, Tatsunoko VS. Capcom: Ultimate All-Stars is the fighting game for you. Remember that top ten list of most anticipated games of 2010? Here's a refresher if you don't. Anyway Sonic and SEGA All-Star Racing (we have an all-star theme this Tuesday!) was on the list, so I'm very much looking forward to this game. I don't know whether or not I'll be picking up the Wii or PS3 version. Regardless, here's some cool vids showcasing some of the twenty-four tracks inside this meaty game! Here we have a track from Sonic Heroes based on the very first zone of the game, Seaside Hill. There's Crabmeat robots to avoid, loop-de-loops to ride, and a giant whale that will leap over your head as you race, all with the iconic checkerboard markings on the rock faces. 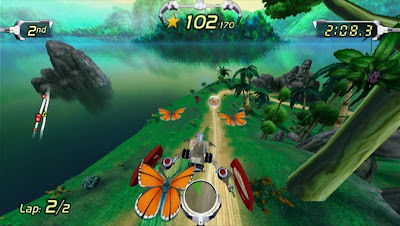 Taken from Super Monkey Ball Banana Blitz's second world, Jumble Jungle is home to leafy trails, scenic shots of rainbows and waterfalls, and plenty of sharp turns to test your steering. Just watch out for loose banana peels! From Jet Set Radio Future, Tokyo-to is home to speed kings everywhere as you race from the man. Watch for neon lights that put that extra buya into Shibuya as well as the tough challenge of traffic! Samba de Amigo gets his own track to call his own in Carnivaland called Jump Parade. Race through winding roads through a colorful city as a bright vibrant sun watches down on you. Just don't daydream and fall off! Enter the razzle-dazzle world of Casino Park as you play through the slot machines, a gigantic pinball table, and whiz by roulette wheels. Hopefully lady luck is on your side in this grueling race! This level from Billy Hatcher and the Giant Egg has been turned into a race track. Watch out for icy sharp turns, rolling eggs, and winding roads that could send you over the edge. A race that would do Billy Hatcher proud. Even The House of the Dead is in on the racing action in Sonic and SEGA All-Stars Racing! Race around the spooky mansion and even in the haunted house itself. Be careful of dangerous zombies that do nothing but impede your progress! 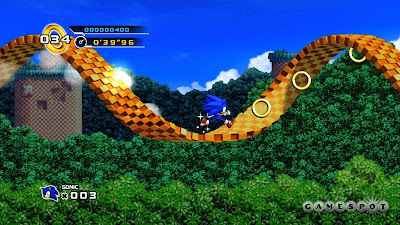 The last of the initial eight tracks, Final Fortress was the final level of Sonic Heroes. Now it's the final of the new tracks shown. Be wary of dangerous lasers, robots, and gun turrets as you make your way through this perilous and impressive floating fortress! Stay tuned for a review of this highly-anticipated SPC game sometime at the end of this month! Welcome to the start of a brand-new month. Didn't we just celebrate Christmas and New Years? I digress. Let's check out January's census before we move onto February entirely. It appears the majority of SPC readers thought the Wii had the best year while coming up at second place was my pick for console of the year, the PlayStation 3! The Xbox 360 took third place with twenty votes whereas the DS earned fourth place with fourteen votes. Meanwhile, the bottom choices were PSP and PC with PSP served with the least amount of votes. Even with the PSPGo and great new releases, not a lot of fans of the PSP on SPC. With that, here's February's Central City Census. We just finished with the console of the year voting, but what about the game of the year? Based on my picks for game of the year, which game was your personal favorite? As the title suggests, this week on SuperPhillip's Favorite VGMs we're taking a listen to orchestral versions of some of my favorite video game tracks. This week in the pipeline we have Final Fantasy, Kingdom Hearts, Super Mario, and the Legend of Zelda. Like a conductor raising his baton, we're ready to begin! This piece comes from a concert that occurred in Los Angeles. It was all Final Fantasy music, and it was called More Friends, a play on Dear Friends from Final Fantasy V. This is the opening track of that concert-- Opening ~ Bombing Mission from Final Fantasy VII's beginning. This next orchestrated piece comes from the 20022002 concert which was held on February 20th, 2002. A whole host of Final Fantasy themes were played, and Vama Allo Flamenco was the final piece performed. Looks like they saved the best for last! Kingdom Hearts is one of those games on my backlog. I 100% completed its sequel, however. Don't ask me why. Anyway, I always loved the orchestrated version of Hikari, so what better time to share it than while I'm on a kick of orchestrated versions of songs? No time like the present they say! The Legend of Zelda: Triforce of the Gods is known better to us Western gamers as A Link to the Past. This version of Hyrule Castle comes from a series of Japanese concerts that occurred in the mid-nineties. The five CDs for each yearly performance are extremely rare, so good luck with finding them legally! This version of Super Mario 64's Rainbow Cruise comes from the Smashing Live soundtrack-- a Super Smash Bros. Melee themed orchestra concert. I got my copy from an issue of Nintendo Power. Great music. Track it down if you possibly can! Not my copy... someone else's! Thanks for sharing this Monday evening with me. Stay tuned for the results of the Central City Census of January 2010 coming soon! Gang-banging was all the rage this month on SPC. We kicked off the new year right with thirteen individual reviews. Three of these were classic reviews, written before SPC came to be in blog form. They're the italicized reviews. This month, three-- count 'em-- three Kirby games were reviewed. Canvas Curse took top honors with the highest score of the month, sharing the honor with a game completely opposite of its cute charm, Saints Row 2. Resident Evil: The Darkside Chronicles proved to be worth the retail price of fifty dollars, Rabbids Go Home was a comedy adventure worth playing, and Final Fantasy Crystal Chronicles: The Crystal Bearers surprised me with its high presentation values and fun, experimental gameplay. Rounding out the list was Gurumin (7.5), Dragon Ball: Revenge of King Piccolo (7.25), Tiny Toon Adventures (8.0), and Super Princess Peach (8.5). Overall, a great way to start the new year. Stay tuned in February for new reviews on Tatsunoko vs. Capcom, The Sky Crawlers, and God of War Collection! Zombies? Not these guys again!